Closets can be a nightmare… especially for couples! everyone would enjoy a bigger closet that will bring relaxation instead of frustration every time you walk into it! Closets are beautiful projects which can easily be added on to a larger remodeling project. If it is a stand-alone project it tends to be more expensive. Recently, we built a room addition for one of our clients so they could have a large closet right off of their master bedroom. The couple now has ample space for the couple to enjoy and organize! 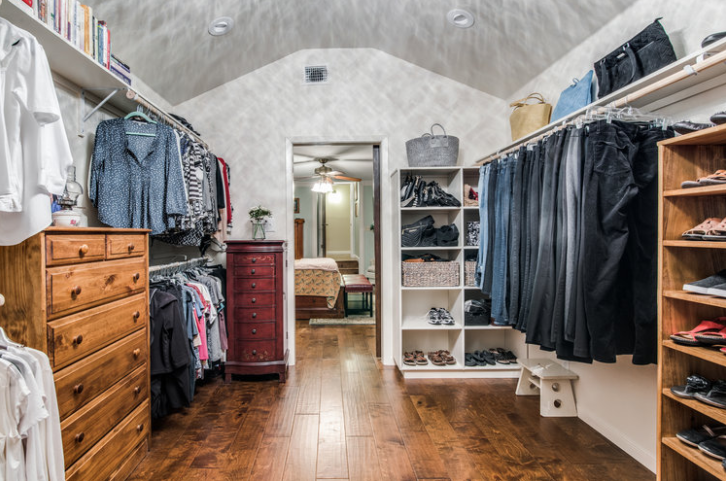 Walk-in closets have tons of potential in what you can do in the space! Cabinetry finish level stained - These custom cabinets come in parts and pieces and are installed by a carpenter. This is a luxury item and brings a great look to the bathroom. They are just as beautiful as the kitchen cabinets. Building a room addition or remodeling a small bedroom into a walk-in closet is an investment that will go a long way for your sanity and help with the resale for future homeowners…because we all love more space!